It’s still one of my favourites, and brings back warm memories for me. California was still so new, so much to discover. For example, I later discovered I got the name of the street wrong. I do wonder sometimes why I am drawn back to the same old spots, but urban sketching is about having a conversation with your surroundings (even if too shy to have a conversation with the people). 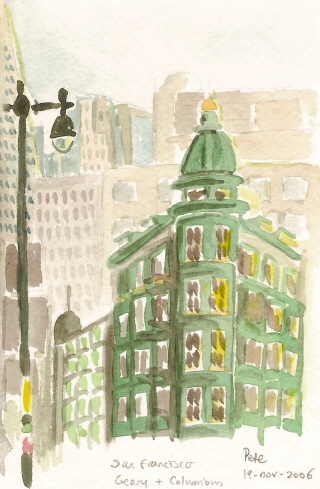 Anyway, after less than a year of going out and about with new pens and new sketchbooks, I took my first of many Watercolour Moleskines back down to North Beach, and sketched the Sentinel Building once more. 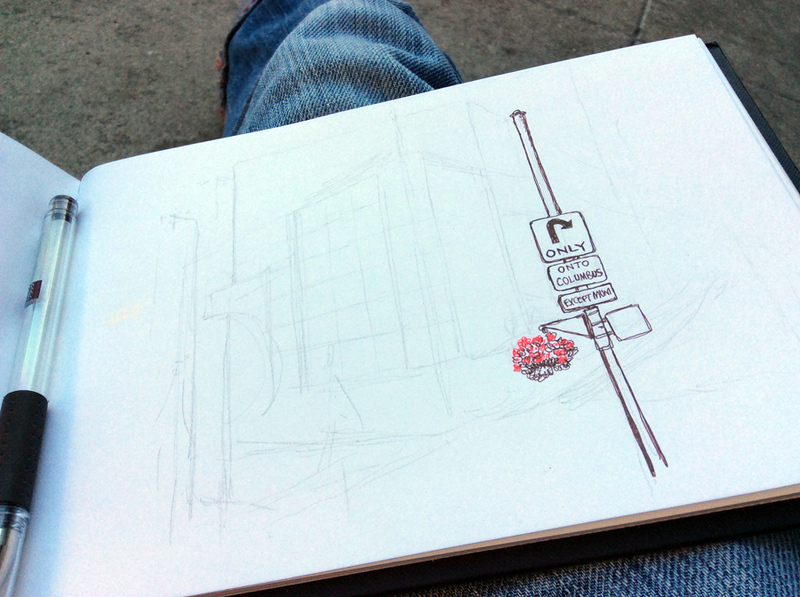 I remember that I used a Copic 0.1 multiliner, and a grey version of the same pen for the buildings in the background. Back then I was really into scribbly frames as well. This was another sketch I really loved, and still do. For a long time this was actually my favourite of my sketches. It was like, I was trying to get my sketches to be a certain way, and this was it, but it was just the sort of atmosphere I couldn’t achieve in bright, hot, low-level Davis – it was city-specific. 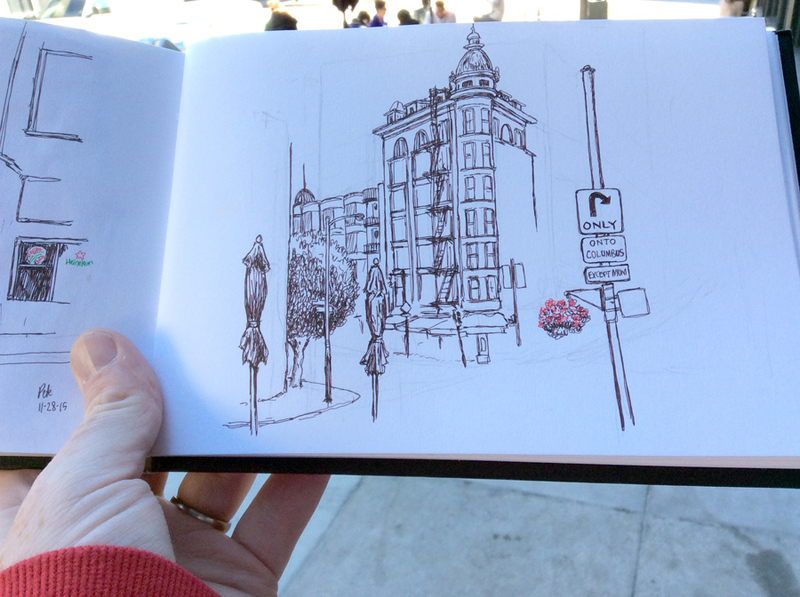 Back to the present…so the sketch at the top was done while standing up the quite steep slope of Kearny Street. I noticed that there is a lot of graffiti on the dome now. Here are my in-progress shots. Well, the above are technically “in-progress” as well! 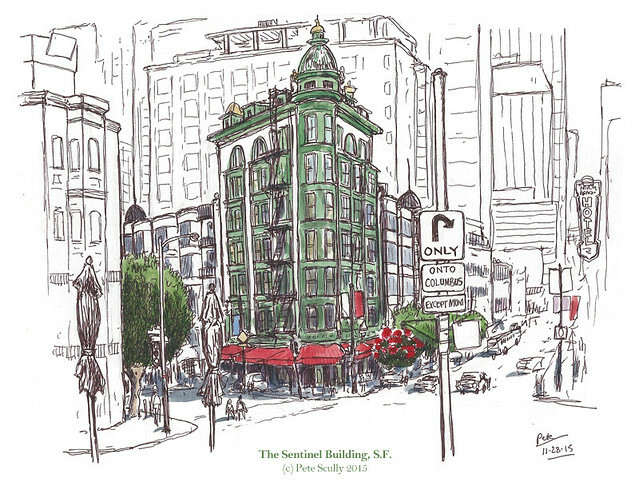 I’ll show you the other sketches from that day in a different post, but for now, here’s the Sentinel Building. Warm regards to you as well! I used to live in North Beach and this is one of my favorite views. It warms my heart to see it presented so beautifully. You’re so talented! Thanks for sharing. Aw cheers! I do like North Beach, so many interesting corners. Yep, San Francisco definitely has its own visual feel, I love it down there. Fascinating to see the development of your style. Love your stuff. Great post! 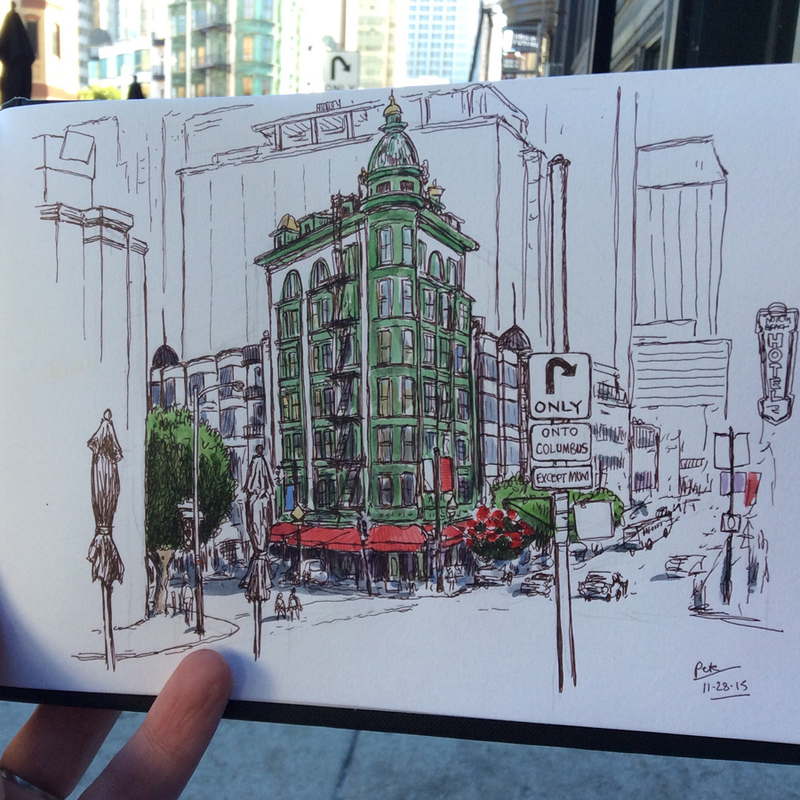 Interesting to see how your sketching has changed over the years. Thank you for sharing!